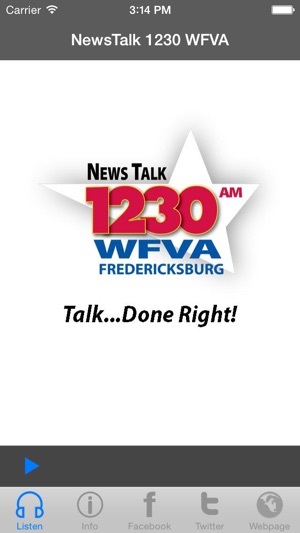 NewsTalk 1230 WFVA is Fredericksburg Virginia's home for "Talk...Done Right" with ABC News at the top of every hour and local news every weekday from 6am-12am. 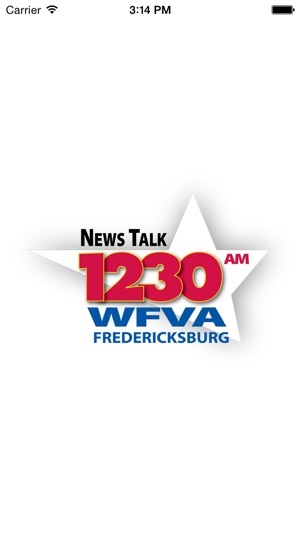 NewsTalk 1230 is also Fredericksburg's home for top talk-shows like Doug Stephan's "Good Day", "The Glenn Beck Program", "The Dennis Miller Show", "The Savage Nation" with Michael Savage, "The Mark Levin Show", "The Laura Ingraham Show", "Coast To Coast with George Noorey", and weekends with Fox News Radio hosts. 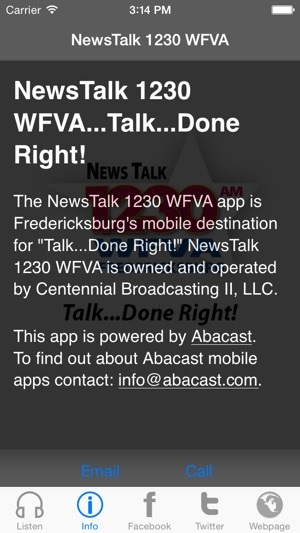 You can also hear the locally produced "Town Talk with Ted Schubel" where Fredericksburg's movers and shakers talk about issues facing the region. 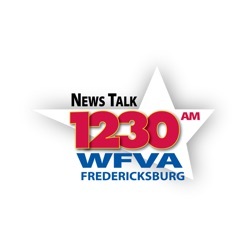 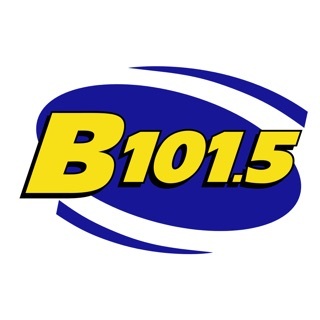 With the NewsTalk 1230 app, you can live-stream the station 24/7/365, make comments about shows and issues, and find links to NewsTalk 1230's Facebook and Twitter pages, and links to traffic and Weather Channel forecasts via NewsTalk1230.net.